Specimen Collection | Medical Diagnostic Laboratories, L.L.C. Download the following documents for more detailed information on Specimen Collection. Note that it may take several minutes to download these forms depending on your connection speed. Enter your zip code to see if you are a local account. Simply contact our Client Services Department toll free at (877) 269-0090, to arrange for a specimen pick-up from a commercial carrier such as FedEx. International accounts are responsible for making all arrangements for the shipment of specimens to MDL. We recommend the use of Federal Express or any other international carrier who will guarantee the delivery of samples within 48 hours. Pre-payment of services must be included in the form of a major credit card or an international money order in US dollars. *All international specimens must be accompanied by a physician’s written orders for testing and prepayment in full in the form of a major credit card or an international money order in U.S. dollars. *Please contact your local sales representative with questions regarding special transport arrangements. Proper collection, processing, and transport of specimens are vital to ensure specimen integrity for laboratory testing. Specific specimen requirements are listed under each test in the Test Listing sections. To avoid delays in testing/diagnosis and to prevent potential specimen rejection, be sure to follow these requirements when collecting a particular specimen. Upon receipt of a specimen, the condition of each sample will be assessed by laboratory personnel using specific guidelines to identify improper or inadequate specimens that offer the possibility of inaccurate results. Any sample that does not meet the acceptance criteria will be deemed suboptimal. All suboptimal specimens shall be evaluated by the Department of Quality Assurance & Quality Control. Requested test is performed in this Laboratory. Sample is received in good condition and in the appropriate collection/transport vessel. Patient identifiers on sample match patient identifiers on the requisition. Sample is received at the proper temperature after transport. 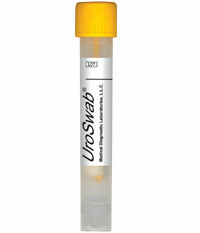 Sample is labeled with at least two patient identifiers. Sample is of sufficient volume. There is sufficient DNA following the extraction process for the test(s) to be performed. Samples that meet the acceptance criteria but are deemed to be suboptimal may continue to be processed. As suboptimal sample conditions may impact test performance, a report will be sent to the referring health care provider detailling the suboptimal specimen condition(s). In the event that corrective action is possible, the referring health care provider may be contacted by our Specimen Resolution Center (SRC) for additional information or instruction. Tests requested are not appropriate for the specimen type received. Sample is received in an inappropriate collection/transport vessel. 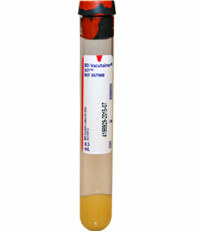 Blood is hemolyzed or lipemic depending on the particular test(s) ordered. Specimen is not received at the proper temperature. 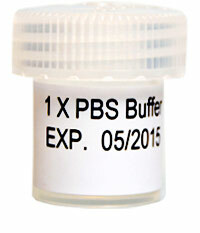 Sample is not labeled with the at least two patient identifiers. Sample is of insufficient volume. A repeat sample will only be requested in instances whereby the suboptimal specimen condition will negatively impact testing. Rejected specimens will not be processed further. A report will be generated to notify the referring health care provider of the reasons for the specimen rejection and a new sample may be requested, if appropriate. Please note, in the instance of irretrievable specimens, where recollection is NOT an option, the suboptimal criteria will be brought to the attention of the Director of Quality Control and will be reviewed on a case-by-case basis. The College of American Pathologists (CAP) guidelines state that all primary clinical specimen containers should be labeled with two patient identifiers at the time of specimen collection. These identifiers must correspond to information provided on the test requisition form or accompanying documents. We will note on the result report when a specimen was received without the required two patient identifiers. 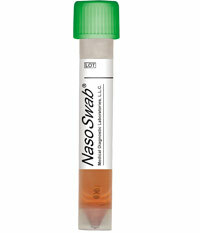 Collection vessel: Sterile non-additive container with PBS buffer or sterile normal physiological saline solution. Volume: Minimum size requirement is 1mm X 1mm section. Transport Conditions: Stable at room temperature. Collection Notes: Please list specimen source on the container and test requisition form. 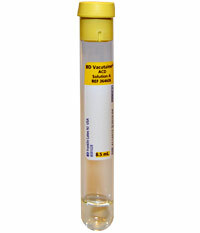 Do not use the yellow top (ACD solution A) blood collection tubes. Volume: Shave 5-7 sections of a paraffin block and place in a sterile container. 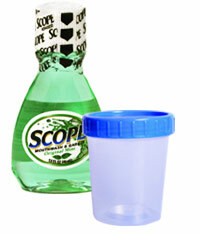 Collection vessel: Sterile non-additive container. Transport Conditions: Stable at room temperature. 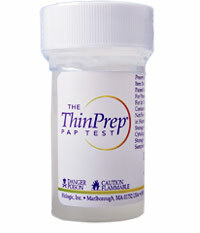 Be sure that you did not eat, drink, chew gum or smoke for at least 1 hour prior to sample collection. Collection Notes: Ensure that you do not have an allergy to mint-containing solutions. Sample collection must be performed in the presence of a healthcare profesisonal. 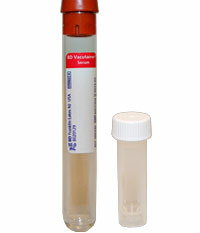 Collection vessel: Serum separator tube (SST) Red/gray or tiger top tube containing clot activator and gel for serum separation. Volume: Complete is preferred. Minimum volume is 1ml. Transport Conditions: Stable at room temperature. 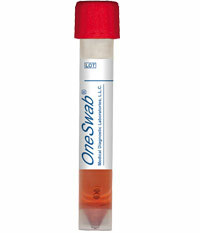 Immediately after blood collection, invert the tube(s) gently 5 times to ensure mixing of clot activator with blood. Collection Notes: Allow the tube to rest in an upright position for at least 30 minutes but not longer than 1 hour after collection to ensure proper clotting Centrifuge for at least 15 minutes at 2200-2500 RPM within one hour of collection. Do not remove the stopper or pour off serum. Transport Conditions: Stable at room temperature. Ticks can be submitted alive or dead. Do not place in alcohol, burn, or place on tape. Collection Notes: Ticks are consumed during the extraction process and therefore cannot be returned after testing. Turnaround time for tick testing is typically 3-5 days but may vary. Transport Conditions: Stable at room temperature. Completely fill the tube whenever possible to eliminate dilution from the anticoagulant and ensure the proper blood-to-anticoagulant ratio. Collection Notes: Immediately after blood collection, invert the tube(s) gently 8-10 times to ensure mixing of anticoagulant with blood to prevent clotting. Do not shake tube(s). Do not centrifuge specimen.